Certainly, the today’s world is powered by technology, and everyday there are many surprising innovations happening around us. People are choosing smarter ways for getting done the works. According to a report, there is a huge increase in the number of mobile users across the world. There are many innovations happening across the world, especially through mobile technology and mobile apps. Many companies are investing in mobile apps to enhance customer experience. As a result of this, there is a huge demand for mobile app development companies India, India and across the world. As new mobile features are overflowing the market, there is a huge increase in the app usage rate in the recent times. 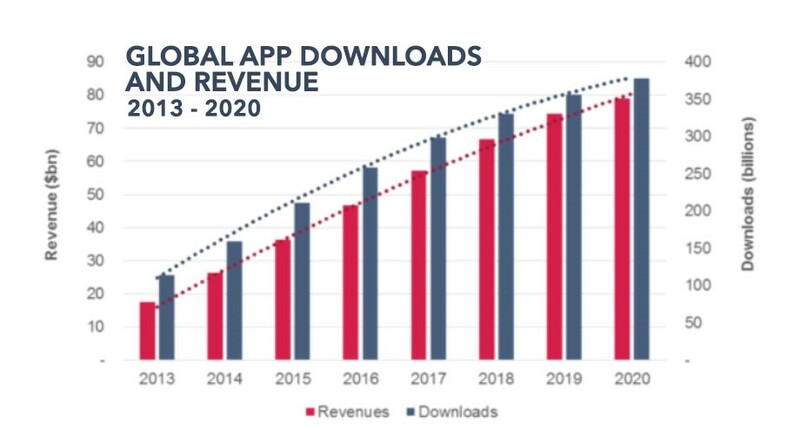 From the third quarter of 2017, app downloads hit record levels. According to a new research report from App Annie, there was an enormous increase in downloads in two major app stores Apple’s App Store and Google Play store. The downloads reached nearly 26 billion worldwide, which was 8 percent up from the last year. This figure was for only fresh downloads and not for reinstalls or app updates. With the downloads, the revenue reached up to $17 billion. The download growth was also significant in markets where smartphone usage was still relatively low. This signifies that this growth will continue for few more years, which will be good news for both app development companies and businesses. App Annie reported that the download growth on Google Play heavily increased in evolving markets, with the biggest contributor being India. In India, downloads nearly got doubled from the 3rd quarter of 2016 to the 3rd quarter of 2017. Other Southeast Asian countries like Vietnam and Indonesia also contributed to the growth of Google Play. Both countries increased download rate year-over-year, which places Indonesia into the 4th place and Vietnam into the 7th place. 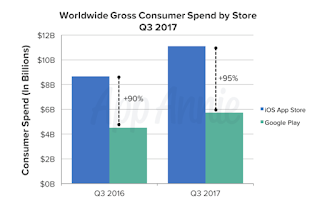 There was a close competition between Google Play and iOS, just like the previous quarters, Google Play maintained a healthy lead over iOS for worldwide downloads in Q3 2017. 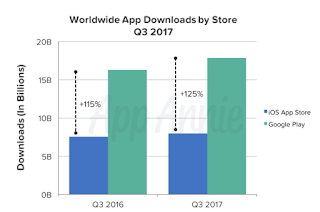 Having download growth by 10 percent, the growth reached up to 125% compared to 115% in Q3 2016.
iOS download growth rate increased by 8 percent from last quarter, which was its highest quarter since the first quarter of 2016. The credit belongs to China, which saw the highest quarter over quarter market share growth, followed by the U.S. and Saudi Arabia. 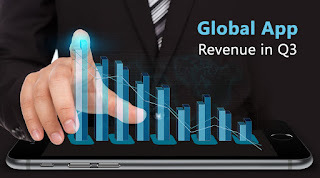 Consumer spend rate is very important for the app to decide the app’s success rate and revenue. Along with the increase in downloads, consumer spend is also growing. In the third quarter, revenue from iOS and Google Play combined reached nearly $17 billion which was 28% more than previous year. iOS is leading the app revenue growth in this quarter where the amount of money consumers spent on iOS got almost double. Google may be ahead in terms of downloads, but Apple was ahead in revenue in Q3 2017. But it was a good sign that both play stores reached record levels of consumer spend. China also took top spot in consumer spend and saw the highest growth. South Korea saw the second highest market share growth and 4th in overall consumer spend which was its highest ranking ever. 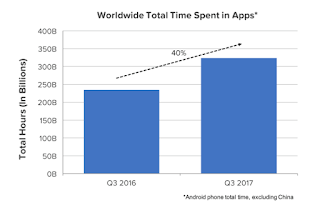 Main reason for this growth is NCSOFT’s game Lineage M, which became the highest grossing app on both platforms in that quarter. Entertainment apps, and particularly video streaming apps, also had a strong growth in Q3. 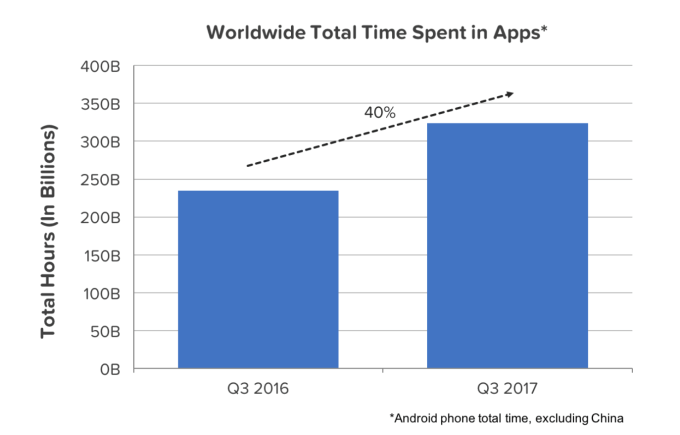 According to the App Annie’s report, Apps continues to capture more of consumers’ time and attention, with the total time spent on apps grew 40 percent year over year to reach almost 325 billion hours in the quarter, excluding China. 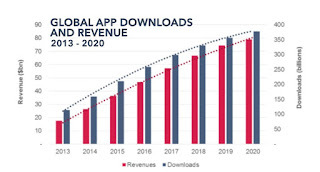 Considering these reports it was estimated that worldwide downloads will reach nearly 240 billion and consumer spend will reach $100 billion by 2021, which will probably increase demand for Android and iPhone app development companies. FuGenX Technologies, a leading mobile app and game development company in India, delivering quality-driven mobility services across the world, specialized in Mobile Apps, Artificial Intelligence, Machine Learning, Data Science, Automation & Game Designing and Development.